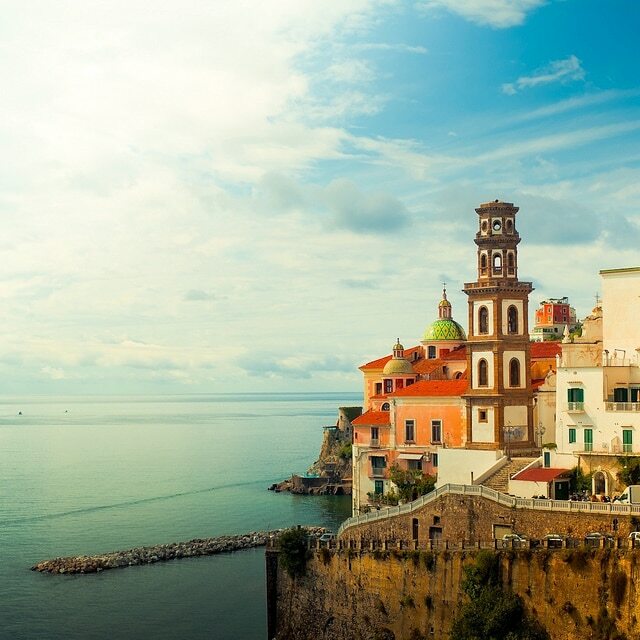 The coast of Amalfi is one of the most pleasant places of Italy. 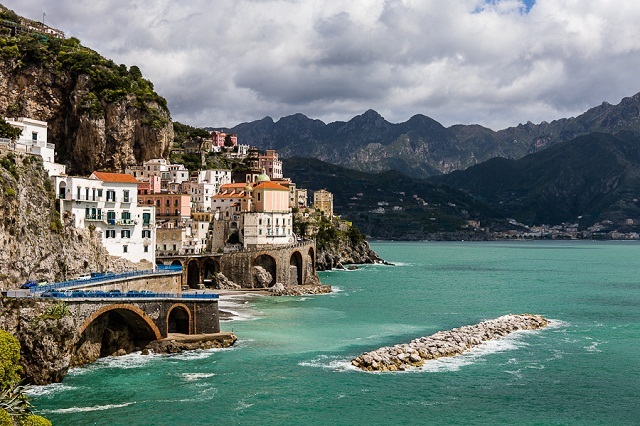 The coast stretches overlooking the Gulf of Salerno. It’s a real gem, thanks to the fantastic weather, stunning scenery and clears the sea. 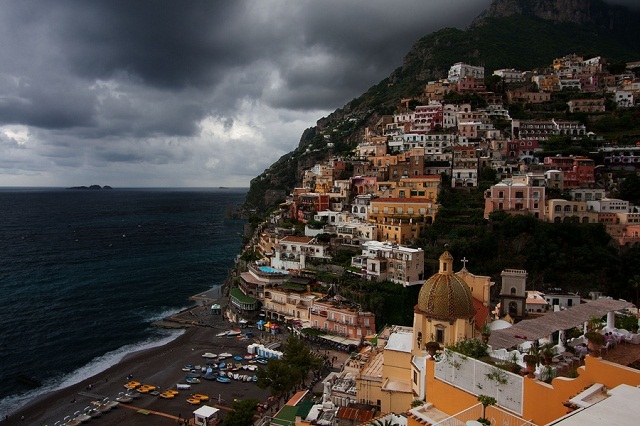 Positano is the most easterly town in the area, perched on a cliff that descends towards the sea. Its main feature are the steps which are narrow, cobbled and with a breathtaking view. The country is made up of houses and buildings of various styles, from Moorish to Byzantine, adorned by lush gardens with juicy fruits. The beautiful Church of St. Assumption is surmounted by a dome of majolica. Inside you can admire the Baroque-style decor, in addition to the golden bust representing San Vito and the Byzantine ancient statue of a black Madonna with her child. The name of the country is linked to this very place. In the twelfth century “AD” a group of sailors had been blocked by a heavy storm while carrying a painting of the Virgin Mary. That’s when a voice said to them, “Pose, Pose” The men unloaded the painting on the coast, so that they could sail again. 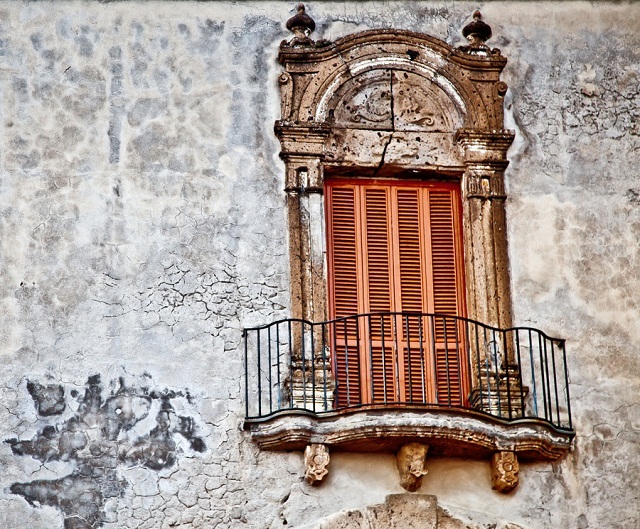 The inhabitants of the village built a church there in memory of the event, which took the name Positano. Also during the medieval period the Saracen Towers, that were built between Positano and Punta Campanella, were used as lookout to spot the arrival of terrible pirates allowing the people time to hide in the mountains. Positano has many beautiful beaches. The most famous is the Great Beach, particularly spectacular thanks to the town that stretches over it. 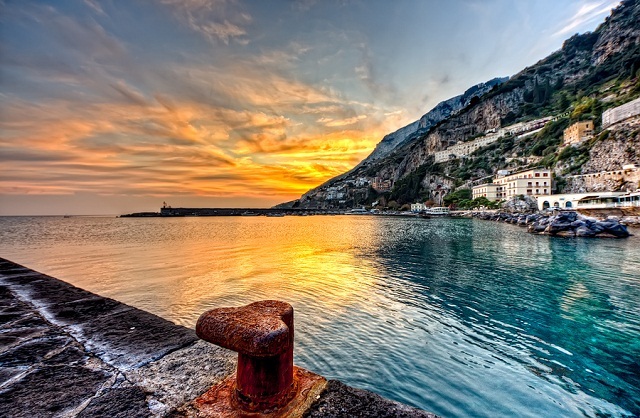 This bay is within walking distance from the town, as is the beach of Formilli. On the other hand St. Peter Lauria, Pora and Arienzo can only be reached via a steep staircase from the road, or more conveniently by sea. 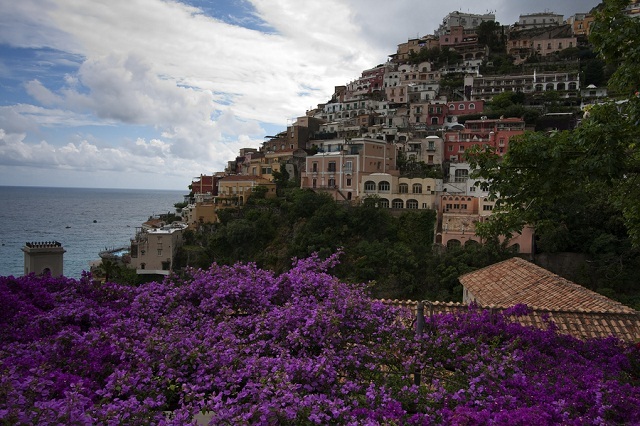 Positano has been a popular tourist destination since ancient times. Even the Roman patricians spent their summers there, which is evident by the remains of a villa discovered in the country. Travel photos: cubagallery, Giuseppe Maria Galasso, Dmitry Samsonov, Hans Kruse, Roba Matti.